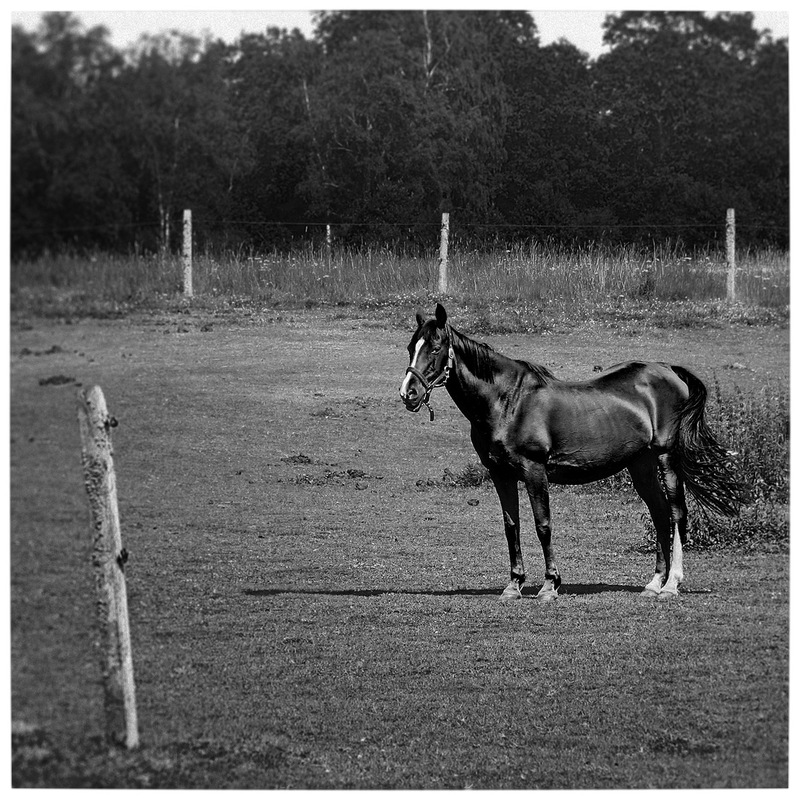 a horsy standing on a field. When one does not own an old camera which has the ability to take "bad" pictures, some shopping is needed. Alot of colorcorrection has been done, convertion to black and white made with the photoshop colormixer which has an infrared option and blurry edges, as you'll find with old apature.